Recipe: Chicken pieces cooked in ghee(clarified butter) and spices ! It’s been a while that this post has been pending in my drafts. The ghee roast is a specialty of the Mangalore district in Karnataka. My Dad’s colleague use to get this dish for us who hailed from the South Kanara region. But I had no idea of the name for this dish until I had seen it on a TV show. I've made changes to the recipe with little less spices and as the name suggests, ghee is used for tempering. If anyone likes chicken recipes, then one should try out this yummy and tasty dish. On how to make the chicken ghee roast, follow the recipe ! 1. Combine all the ingredients mentioned and grind them to a fine paste with enough water. 2. Heat ghee in a skillet and add the ground paste and saute for a minute. 3. Add chicken, salt, tamarind and little water and let it cook. The following Sweet & Spicy Chicken Curry with Spring Onions goes to Priya's Cooking with Seeds- Sesame Seeds Event ! My fellow bloggers, Kanchan of Kitchen Gossip, Deepa of Foodlyrics and Siddhi of Cooked Dil Se have wonderful blogs and visit them for some interesting and yummy recipes. They have shared some wonderful awards with me and I appreciate it so much !!! Thank You girls ! The seven interesting things are shared here. 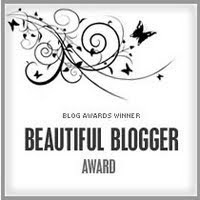 I would like to pass on these awards to all my blogger friends !! Recipe: Rice and fresh dill cooked together with light spice ! This recipe had been very much part of my quick dishes during college days and came as a rescue during tight schedules. The other green was spinach, which we included to make palak bhath. Its a one pot meal, simple, quick and not too much to worry about the amount spices to be used. With more spice and ingredients one can vary this dish to make a pilaf/pulao or a biryani too !!! This goes to the event by Joanne, Regional Recipes –Middle East and also to Silpa’s APS-Rice. 1. Soak the rice for 15 – 20 minutes in warm water. Then drain and keep aside. 2. Heat oil in a vessel, add minced garlic and sauté till you get the aroma. Add onions and fry till translucent. 3. Add garam masala, chili powder and mix. Immediately add rice and chopped dill and sauté for few minutes. 4. Add tomatos, salt, water(3 – 3 1/2 cups) and bring to boil. Let it simmer, then close the lid and let it cook on low-med heat. 5. Once done, serve with a raita/salad on the side. The consistency of the Bhaath recipe is a slightly overcooked rice and not very dry like a pilaf. So use a little extra water compared to while cooking pilaf. I’ve also used very less amount of chili powder, but go ahead and add more if preferred. Recipe: Salad greens tossed in olive oil - lemon – dill dressing ! One of my favorite salads, and follows after my dill bhaji recipe/curry. It is very rare that I get some good big bundles of dill, and when I do, sure, I make, to pick up 3 –4 bunches of the dill @ the Indian stores. Reason being, in other grocery stores it is a tiny bunch sold as a herb. This salad should be prepared fresh as the lemon, tomato and salt will make it juicy, so do not prepare it ahead of time. I haven’t included cucumber in the salad because of the allergies but go ahead and include it to make the salad more crunchy. This tastes great and is as good as a raita on the side with regular meals. The salad goes to Divya’s Show Me Your Salad , Sudeshna’s Carnival of Salad and since dill is very much a part of the middle eastern cuisine, this also goes to Regional Recipes – Middle East by Joanne. Enjoy the salad !!! 1.In a bowl, whisk together oil, lemon juice and salt. 2. Add the chopped dill leaves and give a nice stir. Add sliced onions and tomatoes and mix. 3. Add the greens, cucumber and toss !! 4. Salad is ready, garnish with some more dill and serve it as a side with the meals ! Recipe: Spinach in seasoned yogurt base !! I had got this recipe from one of our friends and simply loved it. It is a must starter at any of our get together as home, especially during Christmas holidays. Very simple with the ingredients, I use more of yogurt as a base in this dip rather than sour cream. Since this doesn’t have any use of spices and herbs, this sure is a hit with kids !! Unlike the one in restaurant where it is baked with topped cheese, this is just simple raw spinach combined with yogurt, sour cream, mayonnaise and some seasoning. I love to add maggi masala or any chutneys with flax seeds, peanuts or chana dal or use any of your favorite seasonings!! This goes to the No Cook event at PJ's blog. 1. Wash and finely chop the spinach. 2. in a bowl, combine spinach, yogurt, sour cream and mayonnaise. 4. Serve with bread or chips. Note: If there is any leftover dip, use it as a dressing on salad greens !!! The salad will taste awesome ! Recipe: Rice and lentils cooked in mild spices ! An another sattvic recipe from my Sattvic Tuesday. Most of the times, our Tuesday dinners are very very simple and you’ll see I haven’t posted lot of sattvic recipes in recent weeks. But now I am thinking, however simple the recipe is, I should probably post them on the blog. So this khichdi a popular dish in India made with rice, lentil is a comfort food for lot of people and also a traditional one on some occasions. The name khichri means mish-mash, is cooked until rice and lentil are combined into one and has a mushy texture to the dish. It is also commonly served as baby food (without spices) and when someone is sick ! For me this is most often part of the sattvic diet, also the best part of it being a one pot dish ! I’ve used whole spices for tempering, spices which are milder and one can use black pepper or other rajasic spices in very less amounts to counter the effects of other food types(tamasic) and does not include garlic/onions.Once served, add a dollop of ghee and its will taste amazing !!!! 1. Heat oil/ghee in a deep vessel. Add the mustard seeds, as they splutter, add cumin seeds, curry leaves and all the other spices. 2. Add the washed rice and lentil and stir for couple of minutes. Add veggies if preferred. 3. Add 4 – 5 cups of water and bring to boil. Add salt, turmeric and let it simmer until the rice, lentils are cooked. 4. Once done it should be mushy, so add water if needed. Recipe: Fried rice with vegetables and pineapples! The first time I had this Thai pineapple fried rice was in one of the Thai restaurants in Philadelphia and it was an instant favorite not just me, but among all my friends too! I’ve made this numerous times, but it never tastes like the one we had at the restaurant, obviously because I skip some of the very much needed ingredients to make this fried rice. I’ve mentioned below that I skip the soya sauce, fish sauce and the eggs that are a must in making/preparing this rice and use some of the chili powder and garam masala to make up for the skipped ingredients. If you don’t mind using soya/fish sauce in your regular cooking, do add and let me know of the outcome !!! But here’s a vegan version of the pineapple fried rice ! Pre-prep- If there is no previously cooked or left over rice, then cook the rice, separate the cooked grains and let it cool completely before you proceed to make the fried rice. 1. Heat oil in a skillet and add onions and sauté till translucent. Add the chilies, ginger, garlic and sauté. 2. Add nuts/dry fruits and fry. Then add the chopped vegetables and roast for few minutes. 3. Sprinkle the chili powder, garam masala, salt and mix. Add cubed pineapple and stir briefly. 4. Add the cooked rice, with continuous stirring and tossing, let the rice get coated with the seasonings. 5. Garnish with sesame oil, spring onions, toasted peanuts if preferred ! Note: The ingredients mentioned (ones I skipped) can be added in step 3 before adding pineapples. Greek Style Vegetable Spinach Soup with Orzo & Awards ! Recipe: Spinach, vegetables and orzo combined to make a lemony soup ! Greek Soup? yes or no…i don’t know ! But couple of search pages on the internet seemed like this would end up in my list of Greek Cuisine. The way it started was that I wanted to make the soup with orzo , since its been a while I’ve used it in cooking. Then I had couple of veggies which were good enough to be combined to dish up this soup. 2. Heat oil in a deep vessel. Add the chopped garlic and sauté. Add the chopped onions and saute. Add red pepper flakes. 3. Add the chopped vegetables, chopped spinach and sauté for few minutes. 5. Stir in the lemon juice, pepper/lemon pepper and serve with bread on side ! 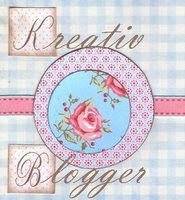 Dolly of Curry & Beyond has shared the Beautiful Blogger Award, Namitha & Sunitha of the Collaborative Curry have shared the Kreativ Blogger Award !! Thanks you so much girls for having to share these wonderful awards !! 6. If watching a movie at home, it takes 4 days to watch the movie in 4 parts. 7. Enjoy driving across country side ! Recipe: Blend of spices known as goda masala to be used in variety of recipes ! I was waiting for the batch of masala to get over so that I could prepare one and be able to post. But then I was unable to find the main ingredient which is lichen/black stone flower/dagadi phool that imparts a unique flavor and aroma in the dishes. I had seen it online though it was a very large quantity of the masala, so had told mom to send. So last week I had to receive some coursework books from India and glad she also sent me some of this dagadi phool spice. This is one of the famous masala or spice mix that is part of the cuisine of Maharashtra state and is also used in some parts of the North Karnataka, those belonging to the north west parts.The following ingredients may vary based on individual tastes. I like to add more sesame seeds and coconut in masala preparations, so that I can skip adding coconut while cooking. Since the seasame seeds are used in preparing the goda masala, this recipe goes to Priya's New Event Cooking with seeds - seasame seeds. Add this masala to vegetable preparations and will taste heavenly! Check out some of the recipes using goda masala, Stuffed Eggplant(Bharleli Vangi), Moth Bean Curry (Matki chi Usal), Sauteed Cauliflower. 1. Dry roast the ingredients mentioned individually. 2. Roast the other ingredients in very little oil and cool. 3. Once all the ingredients are cooled, grind them to a fine powder. 4. Preserve in air tight container and use as required in variety of dishes ! Salt is added if making in large quantity as a preservative agent. Also if needed, lightly roasted red chilies can be included in the ingredients. Chicken pieces sautéed and cooked with tomatoes and spice ! This is very similar to the karahi chicken posted before except that there is no separate tomato sauce to be prepared. The tomatoes can be added after the chicken is sautéed and then cooked as usual. Since its smaller quantity, I did not bother to marinate the chicken pieces. This recipe is good for someone looking to prepare a quick one and is simple with ingredients too! Replace chicken with paneer to make kadhai paneer !! 1. Heat oil in a pan. Add the green chilies, ginger garlic paste, chicken, salt and sauté for few minutes. 3. Add the red pepper flakes and give a stir. Roasted beets and onions combined with orange juice, yogurt and spice !! Once again Wishing everyone a very happy and prosperous new year !! We had a good time spent during the vacations and are back with a whirlwind trip. It has been a while I’ve hopped on to other blogs to see what flavorful recipes have been dished out at my blogger friends kitchens ! I will now be able to visit your blogs/posts and to start the new year is my post of a Roasted Beetroot Dip. I had come across this dip at one of our local deli’s and was glad to find the ingredients but off course no quantities mentioned. So have my own take of this dip/chutney and sure this is a good and healthy recipe with the orange, beet, yogurt into it. 2. Roast the onions till they turn slightly brown/translucent. 3. Combine all the ingredients and blend together to make a fine paste. Wishing Everyone A Very Happy New Year and A Prosperous New Decade !!! Let it bring good HEALTH, lots of FUN, JOY, HAPPINESS and PEACE !!! 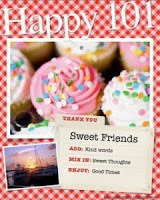 Thank You All for wonderful comments and friendships !!! I am also happy to announce that we won the Love'n Bake Baking Inspiration Goodie Box at the Foodie Blogroll Contest !